Toronto’s Guardly, a developer of public safety mobile services, has partnered with Desire2Learn and will provide its Safe Campus solution for its Campus Life mobile suite. Desire2Learn is focused on the higher education, K-12, healthcare, government and corporate sectors, and its Campus Life mobile product helps students access resources in their post-secondary community. The partnership with Guardly will add the ability to easily communicate with campus security. 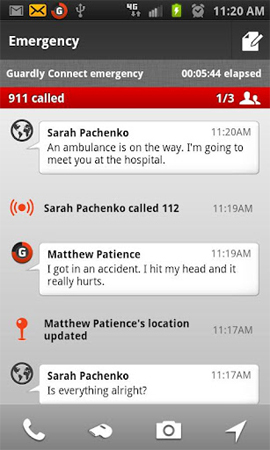 Guarly helps communication in emergency situations. Safe Campus features real-time GPS location data, as well as providing information such as caller ID and profile information to security dispatchers, along with the nature of the emergency and secure messaging.